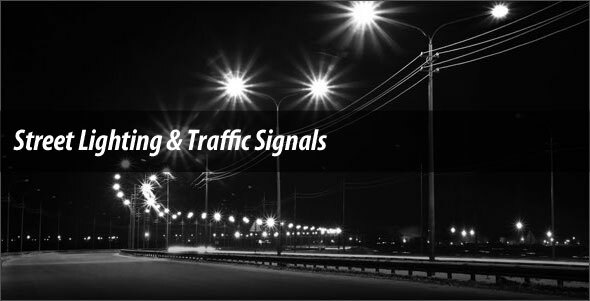 Private and public owners along with city and state municipalities depend on us for a variety of traffic signal related services including underground, wiring, installation and more. In addition to new construction we are available for preventative maintenance, trouble calls and the like, and all of our services are performed by skilled and experienced IMSA trained professionals with the experience to get the job done right. We would love to bid for your next job and show you firsthand how our expertise and affordability can fit into your traffic signal construction project. Well-designed and implemented street lighting is essential to the safety of drivers and pedestrians alike on any street. Contractors West, Inc. is responsible for the installation of street lighting on many roads throughout Arizona, and will work with your municipality in its efforts to implement a system of street lights that accentuate roadways while promoting safety. Wherever residential neighborhoods and main thoroughfares where drivers and pedestrians reside is where you’ll find our street lighting handiwork. Proper street lighting helps to keep neighborhoods safe from crime and drivers more aware of their surroundings.